﻿Lively Athletics didn’t always sell kids’ shoes. 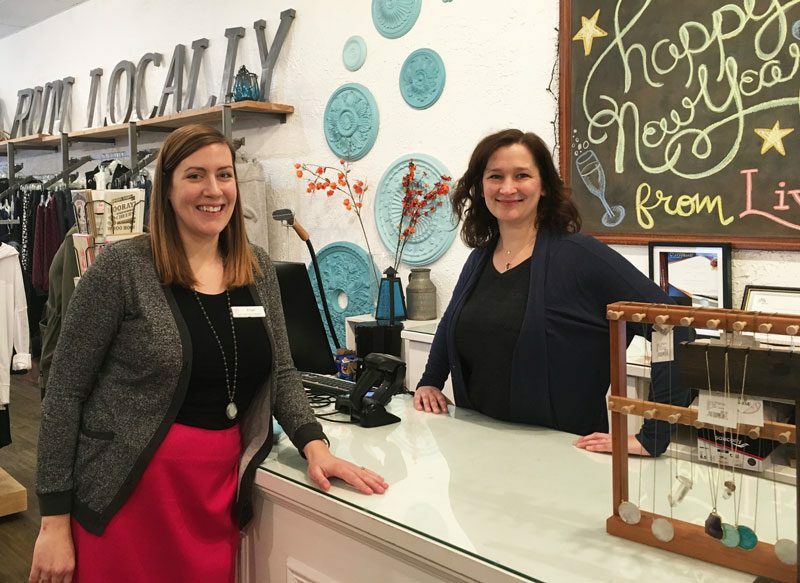 In 2014, Anne Pezalla opened the store at 109 N. Oak Park Ave. with her sister Kate, selling women’s athletic clothing and shoes. In 2016, she started kicking around the idea of adding shoes for kids. She was participating in the Goldman Sachs 10,000 Small Businesses program at the time, and one of their suggestions was to contact a local business librarian. “I was pleasantly surprised to find that Oak Park Public Library had one of those,” Pezalla says. So she reached out to the person who would soon become her “secret new best friend”: Business and Government Librarian Bridget Optholt. Now, Lively Athletics carries shoes for kids from toddlers to preteens. And Pezalla says she’s used the library every time she’s thought about growing the business, like when they added a tennis department in 2018.